This Friday, April 5th, is Go Blue for Kids Day. A day to acknowledge Child Abuse Prevention Month! April is National Child Abuse Prevention Month. You can play a role in making our community a better place for children and families. Nobody longs for a safe and loving family more than a child in foster care. Be the voice for a child in need. Be a CASA volunteer. Shop using smile.amazon.com for all your online shopping and Amazon will donate 0.5% of your purchase to CASA for Children. Giving back and saving money at the same time. Is there a better way to shop? Help change the life of an abused and neglected child. 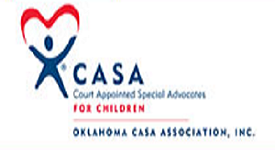 Contributions to CASA for Children support CASA volunteers in their efforts to guide abused children through the overburdened legal system to safe, permanent homes where they can thrive. Your tax deductible gift can turn a life of hurt into one of hope. Are you looking for a volunteer opportunity like no other? As appointed representatives of the court, CASA volunteers are empowered to make a lifelong difference in the lives of abused and neglected children. Volunteers come from all walks of life. No special education or experience required! There are over 3 million confirmed cases of child abuse in our nation each year. Your church can make a difference. 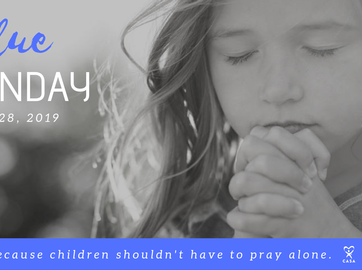 Join millions of other churches across the nation in taking part in Blue Sunday, a national day of prayer for child abuse victims and those who rescue them. It's free. Nothing to join. Just prayer!